WOAP writer and University student Andrew Baxter sits in the My Bradford City Life Story chair to share his views on following the Bantams since 2000. How long have you supported City and how did it happen? I’ve supported them as long as I can remember. My Dad, took me to my first ever game, during the second Premiership season, when I was 5. I went pretty much every week during our last spell in League One, as free season tickets for under-11s meant that kids such as myself could go for free to watch football, and I’ve had a season ticket since 2010. What’s your typical home matchday routine? I go to City with my Dad and my two younger brothers, and we usually get to the ground in good time. We always buy a programme from the same stall, on the concourse of the Main Stand, and we’re in our seats just as City come out to warm up. I loved Jamie Lawrence and Benito Carbone when I first started going to games, but my favourite City player in my lifetime has to be Gary Jones. I love his commitment, drive and passion; and whilst he may not be the most technically gifted of midfielders, I loved watching him play. Of the current squad, my favourite is probably Chris Routis. I like his audacity to attempt flicks and tricks, and whilst he divides opinion amongst fans I believe he’s a good player with a lot of potential. I was always a fan of Calvin Zola. He always seemed to score against us! Sam Johnstone, who played at Valley Parade for Doncaster and Preston this year, is a quality goalkeeper. In the Doncaster game, he pulled off a string of outstanding saves – no wonder Manchester United rate him so highly. Macclesfield’s was basic at best, likewise Accrington Stanley’s ground. Favourite period supporting the club? As a fan who, up until a couple of years ago, was used to disappointment, I’d have to say that this current period is my favourite! 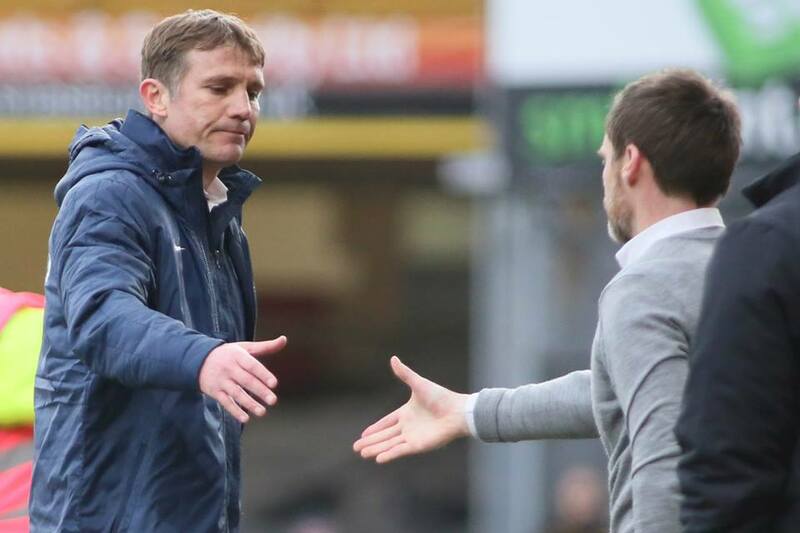 There is a feelgood factor around the club, and this is in no small part to the fantastic work that Phil Parkinson has done, with the backing of Mark Lawn, Julian Rhodes, David Baldwin and James Mason. The play off final vs Northampton was fantastic, if a bit of a non-contest after half an hour. Arsenal at home during the League Cup run was incredible, and I really enjoyed this year’s Sunderland game. I was sat right at the top of the Kop, and the atmosphere was electric from start to finish. Match you most regret missing? I wish I’d gone to Villa Park two years ago. Watching it on TV that night was great, but being there in person would have been extra special, and an unforgettable experience. Match you wish you had missed? 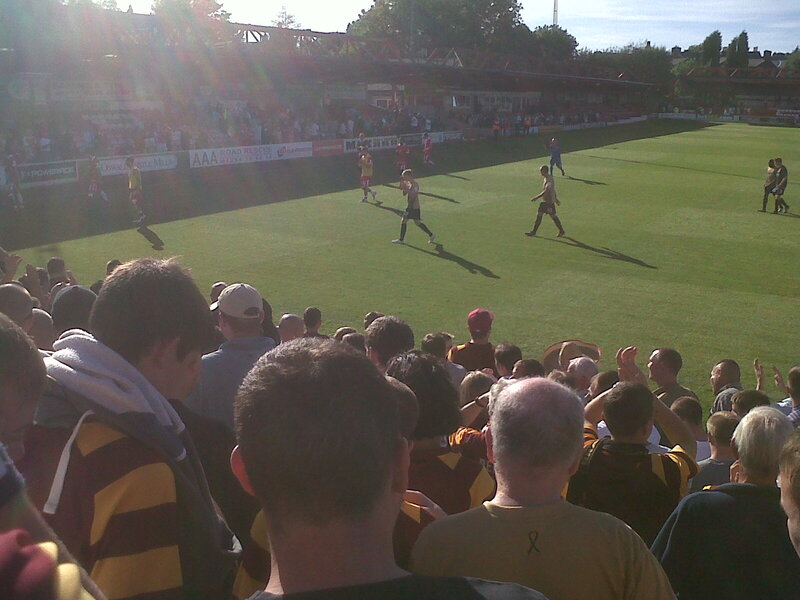 Macclesfield away, 25th October 2011. We lost 1-0, we played abysmally, and it rained from start to finish! What don’t you like about football? The amount of money at the top level of football is staggering. I can understand the huge clubs getting millions and millions in TV revenue, but Burnley getting £90 million? Come on! How would you improve Bradford City? There isn’t really too much that springs to mind, but I would love Valley Parade to be packed to the rafters every week. The atmosphere versus Sunderland and Reading were both brilliant, and I would love to repeat that week in, week out. My experiences of City managers are limited at best, but it can only be one man, Phil Parkinson. I’d probably go for Peter Taylor. His tenure saw some of the worst football I’ve seen at this club, and whilst he did well earlier on in his managerial career, he didn’t exactly cover himself in glory at Valley Parade. Crikey! This is a tough one…. Perhaps controversially, I’ve gone for a ‘diamond’ midfield, as I needed a way to fit Lawrence, Jones and McCall in! Who is the Campbell in the all time X1? Surely not Bobby if you’re only 20? !